Currently 5200PE option writers again raise their hands against the 5400CE. 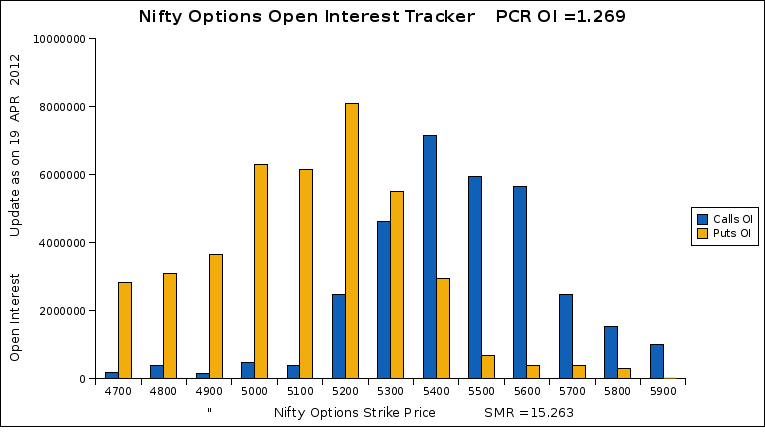 Last two days there is big fight between the 5200PE writers and 5400CE writers as there is a equal amount of open interest built up in both these option strike price. Finally there is a reduction in 5400CE open interest and a considerable amount of increase in 5200PE open interest indicating that 5200 will be once again the Support zone for the current option series.